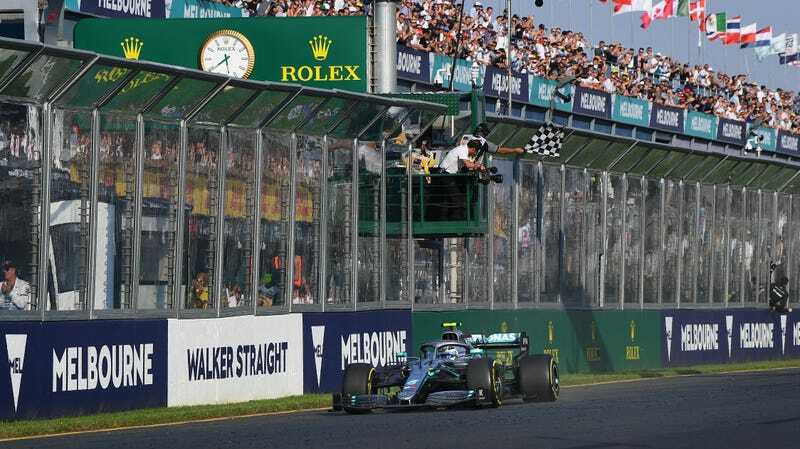 Valtteri Bottas wins the Australian Grand Prix in front of the crowd near the start-finish line on Sunday. It’s been almost a week since the Australian Grand Prix and start of the Formula One season, but the side effects of attending such a large event didn’t end after the overpriced concessions and traffic mess to go home. On Friday, the Victoria State Government put out a health warning for those who attended the race. The government’s health warning, which is active as of this posting, is for a confirmed case of measles at the track over the weekend, where Valtteri Bottas won the first race of the year over Mercedes teammate Lewis Hamilton. The warning said the person with measles might have been in the contagious stage while at the race, and that they visited several areas of the track. Anyone who might have been exposed to measles at the race and is susceptible to the infection, the warning said, could see an onset of symptoms up until April 4. Those susceptible include people born during or since 1966 who don’t have evidence of either two doses of a measles-containing vaccine or immunity to the infection, and those who are immunocompromised. Measles, a highly infectious disease caused by a virus that often leads to a large, red rash can open a person up to worse, potentially fatal complications, shouldn’t really be a thing anymore. The vaccine for it is 97 percent effective, according to the Centers for Disease Control and Prevention, but outbreaks have occurred in areas including Europe, the U.S., the Philippines, Japan and elsewhere amid the anti-vaccination movement and fears about vaccines. The health warning in Australia said new measles cases can present themselves with fevers, severe coughs, red eyes and a rash. It also said the infectious period for measles is about five days before to four days after the rash shows up, meaning there’s a large window in which to spread the virus. Midway down the warning, in bold, the Victorian government wrote that this is a “timely reminder for individuals to check their vaccination records” and get the measles one done already. The CDC rates it at 97 percent effective, after all, which is a higher percentage than plenty of other things we put our faith into.